The high-quality jersey material with smooth outside and fleecy inside is elastic and adapts excellently to the silhouette with detachable cross surcingles. 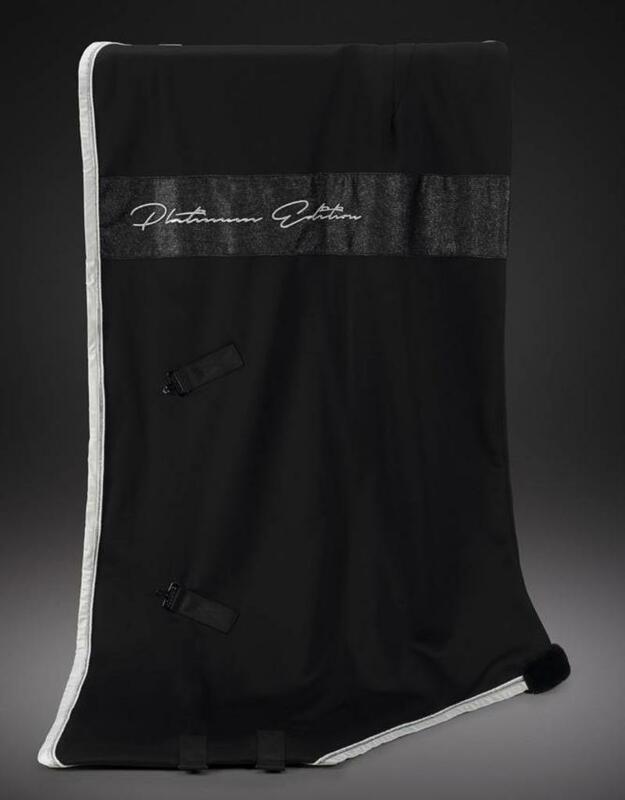 In the color black with glitter stripe and PLATINUM-embroidery on both sides, The contrast colored border with the elegant cords complete the smart look. The Platinum Colletion is an exclusive and strictly limited edition by Eskadron! Sophisticated materials give the products a very elegant look.